Add all the ingredients except the chives to the blender. Use a tamper to blend the ingredients till a very smooth consistency is reached. Once the cream is smooth fold in the chives. Stem the kale leaves and wash them well. 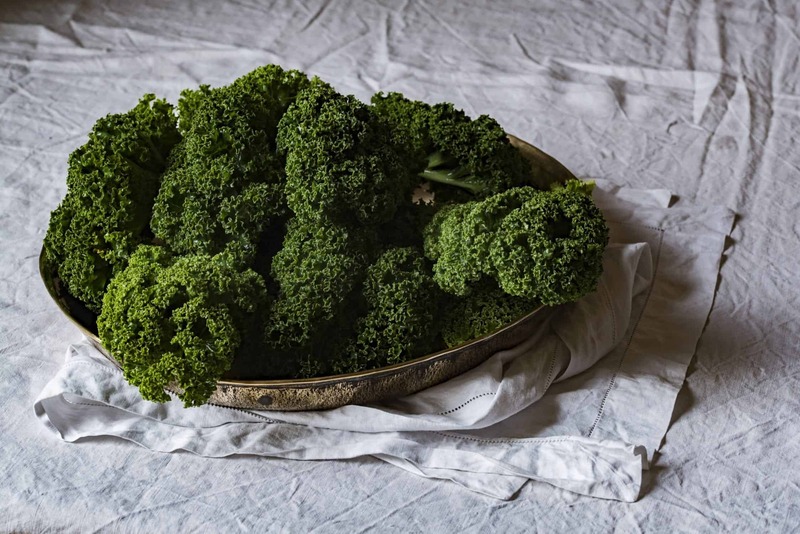 Dry them with a clean towel or spin-dry them in a salad centrifuge. Tear them into relatively big pieces (they will shrink about 50%) and add them to a big mixing bowl. Pour in the sour cream onto the kale and use your hands to mix well. Make sure every piece is coated with sour cream. Spread 1/4 of the coated pieces onto a mesh sheet and dehydrate for 10 to 12 hours at 42 °C, or till completely dried and crispy. Store in an airtight container up to 4 weeks. These won’t survive a day unless no one is home! If you have no dehydrater use your oven. Choose the lowest possible setting and leave the door open. If your setting is 50 ºC it will take a couple of hours, if your lowest setting is 80 ºC it will go quickly and I recommend you stay in the kitchen. 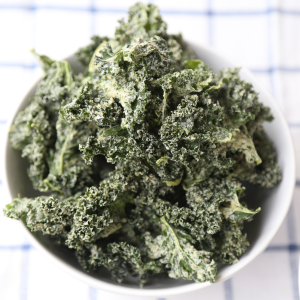 It is best if you turn the kale chips at least once during it’s drying period when using an oven.